Happy Saturday, Friends! Yesterday's blog post did not go up, so here it is today :) We have been having so much fun here at NSB. Madeline loves the beach so much, just like her mama. Seeing her excitement for it simply melts my heart. I have been so excited to share these mommy and me matching swimsuits with y'all. I purchased them a few months back and have been saving them up for our beach trip. I absolutely love the fun pom pom details. It's so great to find a white swimsuit that's fully lined and offers great coverage. That's just one of the reasons I love this suit so much. What made me love it the most was when I found this matching one for Madeline. The sizing is TTS for adults (I'm wearing my regular size, XS). But the kids sizing is definitely a bit different. I decided to get Madeline the toddler size 4, since she is always her normal size or one size up in her swimsuits. But she definitely could have done the toddler size 2 in this one. I decided to just keep the size 4, but the good thing is that it will most likely fit her again next year! I just love these suits so much. Also, meet Suzanne (our swan float). Madeline was SO excited over her. She at first wanted to name her "Madeline the Swan" (everything is named Madeline these days haha). But I told her that it should start with an "S". I gave her a long list of name ideas, and Suzanne was the one she chose. So, Suzanne the swan float it is! :) Also, did y'all catch on to the fact that she's a PEARL swan float?! 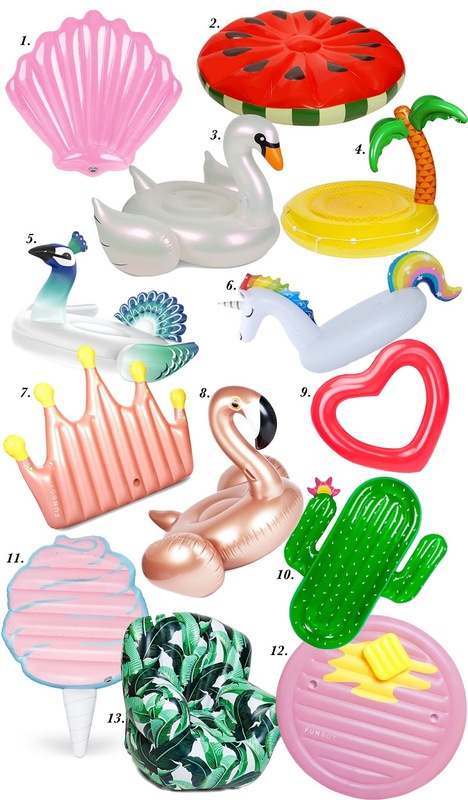 Since we had such a blast on Suzanne, I decided to put together a fun list of the cutest floats for y'all. We have so much fun with our floats. Which is your favorite? Thanks for stopping by! Have a great weekend, friends.